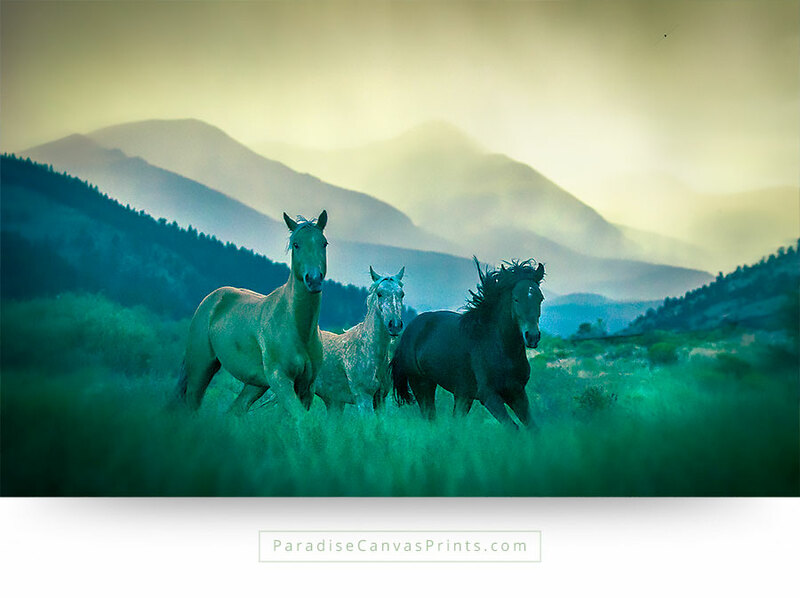 Three beautiful horses are running through a valley, during a summer storm. In the background you see the mountains of Colorado, covered in the mist. Two of these horses are wild mustangs, being trained by me and my children.